Check out some of the interesting news stories and developments affecting Arizona drivers from the past month. State officials say traffic deaths on Arizona roads are on track to outpace last year’s number. With street flooding tearing up our roads, and summer construction projects, something must be driving you crazy! 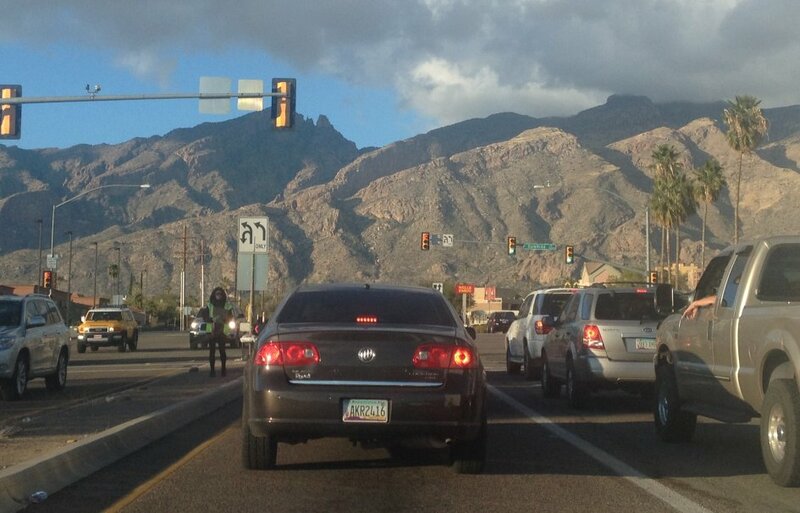 One News 4 Tucson viewer told Allie Potter that an eastside intersection has her, hitting her brakes. The intersection at Golf Links and Houghton is what's driving you crazy. Deidre writes in and says, "Why did the intersection go from a leading left turn to a lagging left turn and then back to a leading left turn?" West Route 66 will be getting an additional set of stoplights at the intersection of Route 66 and West Riordan Road as part of the high occupancy housing development being built on the northwest side of the highway. A traffic impact analysis conducted by the Arizona Department of Transportation required the developer to install the additional improvements to the intersection. The development, called The Standard, is being built by Landmark Properties and is slated to be completed by fall of 2019, according to a spokesperson for the developer. The road improvements, which started in June, are expected to be completed by the end of this month. In a new study, Arizona was ranked a top ten state with the worst drivers. The study, conducted by SmartAsset, ranks Arizona in the ninth spot, tying with Alaska. It’s funny how the average commute time in Arizona is only 25.3 minutes, yet being on the interstate during rush hour can feel like an eternity in hell. The desert sunlight bakes down unforgivingly, causing heat to radiate through the air vents of cars that are unmoving in a pile-up for miles. It’s hard to breathe and relax when crawling under 5 miles per hour, and it doesn’t help when fellow drivers abstain from using turn signals and recklessly meander from lane to lane. It is a tense moment for many parents: their teen is driving solo for the first time. For that to happen, teens do not have to take a driver's education program in Arizona. Arizona is among the states that do not have a law requiring drivers ed. Some parents wonder why it's not mandated. "You're putting your kid in a car, it's a lethal weapon," said Lee Sera, who has two teen daughters. "I think why wouldn't you want to get them driver's ed?" The latest numbers on wrong-way drivers give the Arizona Department of Public Safety a glimmer of hope. Trooper Kameron Lee said from Jan. 1 to Aug. 20, there have been 42 wrong-way collisions on Arizona roads. There were 43 last year. Eight of the collisions were fatal, in contrast to 11 deadly wrong-way crashes a year ago. The numbers have started to go down, which makes Lee very thankful. The Arizona Department of Transportation wants customers to avoid being scammed into paying for test answers or other information and services it provides for free. So if you are studying for your driver’s license, don’t fall for websites or social media posts attempting to sell test answers. You can learn everything you need by studying the manual and taking the department’s online practice tests, Motor Vehicle Division spokesperson Doug Nick told KTAR News 92.3 FM on Tuesday.